Zimbabwe Are Southern African Football Kings! 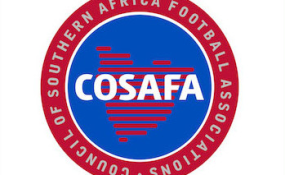 Zimbabwe has been provisionally awarded the rights to host this year's edition of the COSAFA Cup to be held in May subject to getting a Government guarantee, the Council of Southern Africa Football Associations (COSAFA) secretary general Sue Destombes confirmed Tuesday. The 2019 edition of the regional tournament is set to take place from May 19 to June 1 and would be an opportunity for the Warriors - who are on the verge of qualifying for the African Cup of Nations set for Egypt - an opportunity to prepare for the continental championship which begins on June 15. Destombes revealed that former Zifa president Philip Chiyangwa, who is also the Cosafa boss, was behind the bid to have the tournament hosted in Zimbabwe. "We hosted a very successful women's tournament and in discussions over the last couple of months as to where we wanted the 2019 Cosafa Cup to be held, the president Dr Chiyangwa was determined that it is going to be in Zimbabwe. Why? Because we want it to be bigger and better and we always have a successful tournament in Zimbabwe," Destombes said. "We saw the women's tournament on Bulawayo in 2017 which was immensely successful... it was and is now the biggest tournament on the continent of Africa we had 12 participating teams which is bigger than the continental championship itself." Destombes said discussions were already underway with the Sports and Recreation Commission (SRC) and the Kirsty Coventry-led Ministry of Youth, Sport, Arts and Recreation to secure the necessary government guarantee. "We had a very good meeting with the Sports and Recreation Commission today; they have had preliminary discussions with the Minister (of Youth, Sport, Arts and Recreation Kirsty Coventry) there's just some paper work that needs to be finished so that it can go back to the Minister but we are very confident that the tournament will be played in Zimbabwe from the 19th of May to the 1st of June," she said. Zimbabwe last hosted and won the 2009 Cosafa Cup with matches being played in Harare and Bulawayo. Sunday Chidzambwa's men sealed a memorable 3-1 victory over Zambia before a packed Rufaro, with Nyasha Mushekwi grabbing a brace while Cuthbert Malajila added the third. After losing their way in the 2015 and 2016 competitions in South Africa and Namibia respectively, the Warriors have won the last two editions of the tournament. Chidzambwa, who has never lost a COSAFA Cup game, has led the Warriors to back-to-back wins in Rustenburg and Polokwane in South Africa with both successes interestingly once again coming at the expense of Zambia. Now Chidzambwa's men could aim at an unprecedented three successive COSAFA Cup titles should they maximise on the home advantage. Zimbabwe were also successful hosts of the COSAFA Women's Championship in Bulawayo last year, where the Mighty Warriors finished 2-1 runners-up to South Africa's Banyana Banyana.